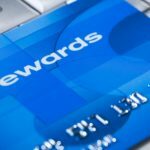 Looking for an easy-to-use rewards credit card that doesn’t make you think twice about bonus categories? One that earns you cash back no matter what you buy, with flexible redemption options? Well, the Chase Freedom Unlimited may be a great option for you. This rewards card offers a flat 1.5% cash back on every purchase. Just spend on the card as usual, and earn rewards on every dollar spent. You can use your accrued cash back in any amount as long as your account is open and in good standing. There’s no cap on the rewards you can earn, and you can even redeem points by the penny, if you’d like. Right now, new cardholders can also get an initial signup bonus. Chase is offering $150 cash back when you spend $500 on purchases within three months of account opening. Plus, you could earn an extra $25 bonus when you add an authorized user who makes their first purchase within the same three month period. As long as you don’t have this card and haven’t received a new cardmember bonus for the Freedom Unlimited in the past 24 months, you’ll qualify for this bonus. This is could be a great card if you’re looking to get out of debt with a balance transfer. It’s also a good option if you want to make a big ticket purchase and spread out payments without paying interest. Why? This card currently offers a 0% introductory APR on both purchases and balance transfers for 15 months. The latter has a 5% or minimum $5 balance transfer fee, whichever is greater. Since you can pay 0% APR for more than a year while netting cash back and bonuses, this could be a great deal. You won’t earn cash back with a balance transfer, of course, so it is a better option if you’re looking to finance a large purchase, like new appliances for your home. Pay the purchase off in 15 months or less, and you’ll have secured free financing plus some great cash back rewards. Transferring higher-interest debt to the card and paying it off with 0% over 15 months is also a great idea, though. It just depends on your needs. After the introductory period, APR goes up to 14.24% to 23.25%, based on creditworthiness and varying with the prime rate. As with most credit cards, this one has a higher APR for cash advances. Zero Liability: You won’t be held responsible for unauthorized charges made to your card, so long as you report the questionable charges within the appropriate time frame. Chip-Enabled Security: These cards now come with a standard chip security, which gives you more peace of mind when using them out and about. Purchase Protection: Get up to $500 per claim/$50, 000 per account in purchase protection against theft or damage. This applies to purchases made on the card within the past 120 days. Price Protection: If you find a lower price advertised in print or online on an item within 90 days of purchase, Chase will reimburse the difference for up to $500 per item or up to $2, 500 per year. Car Rental Damage Waiver: Get additional insurance for rental cars when you charge the rental to your Chase Freedom Unlimited card. This insurance applies to rentals both within the U.S. and abroad, and carries theft and collision coverage secondary to personal insurance. If you’re looking for a balance transfer card, this one would be a great place to begin. Even those with middle-of-the-road credit may get approved, which is great if you’re looking for a 0% introductory APR balance transfer offer to pay off debt and raise your credit score. Alternatively, as we’ve mentioned, this card is a good option if you need to finance a big-ticket purchase but don’t want to pay interest. The 0% introductory APR on purchases is a great deal, especially since you can still get the 1.5% cash back and bonus cash back on your purchase. The Chase Freedom Unlimited card isn’t going to give you spectacular cash back on any purchases, unlike other cards that have 3% or even 5% cash back categories. If your goal is to get the most possible rewards for your spending, this isn’t the credit card for you. However, if you’d like to have a credit card that’s easy to use for everyday expenses, and gives you some cash back to boot, this may be worth looking into. It’s also a great backup if you’re looking to diversify your rewards. This way, you can make the most of your bonus categories on other cards (making travel-related purchases on a high-earning, travel rewards card, for example), while still getting decent cash back for your everyday purchases.